Child trafficking seems to have been gaining pace since several months in different provinces of the country. 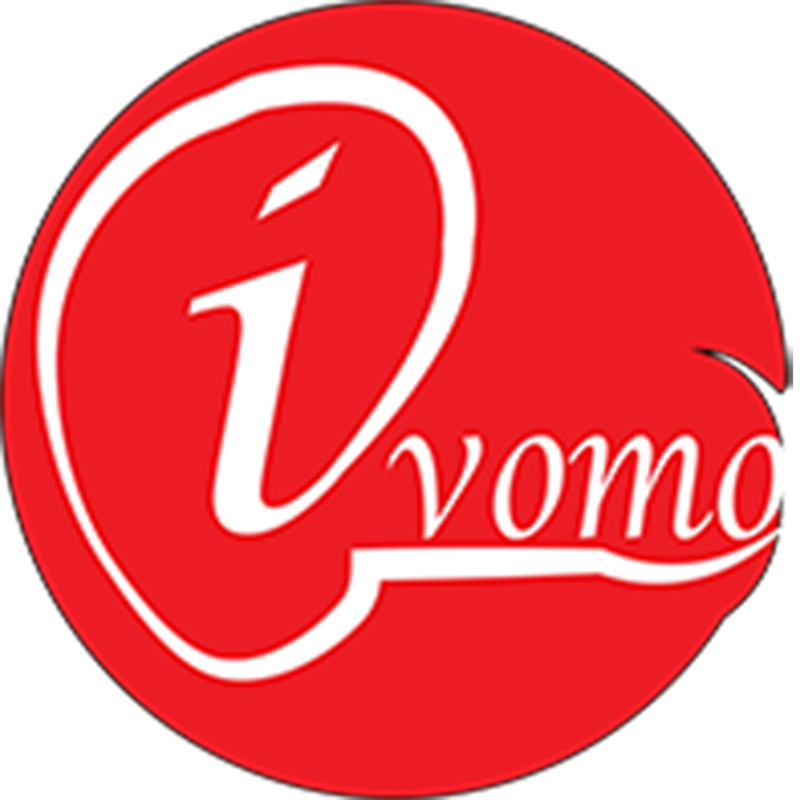 To get to the bottom of it, Ivomo has conducted a thorough investigation in one region and on a specific case. Emphasis has been laid on the commune of Musongati, one of the regions most affected by the « disappearances » of young people taken to Tanzania. Musongati is located in the province of Rutana (Eastern Burundi), about 160 kilometers from the capital Bujumbura. For more than two years, dozens of children from different neighborhoods of this commune have been prompted to drop out of school and go to Tanzania illegally. The most affected areas are Kamaramagambo, Mbuza, Nyabitsindu, Runyoni, Makakwe, Nkeyuke and Ceru, according to the administration. The latter, however, does not have global figures of these « exiles ». Nevertheless, out of 60 households visited by Ivomo in three villages(Gishanga, Gisibe and Rugari) of Kamaramagambo neighborhood, 51 have at least one child in Tanzania. Some may even have two to three children there. Thus, of the 51 households, 72 young people had left their homes since 2015. A reporter from Ivomo managed to sneak into Tanzania, accompanying a group of young Burundians who were also tempting the adventure and he could take some pictures with a well-hidden small device. He followed them up to Kasulu commune in Kigoma province, northwestern Tanzania. While there, they are employed on different plantations. It all started in Mbuza whereabouts. It was dark and six young people were preparing to leave. Mbuza is a gathering place for candidates to the adventure, because this is home to Heberi and Wahedi – two brothers who know well the trafficking network and serve as escorts. Around 3:50 am, they got up as planned. This was the beginning of the adventure. We then headed east; Heberi – the oldest of the two brothers, in the lead, his brother in second position and the others behind. No one would speak. Only the chirping of nocturnal insects punctuated the march. In single file, we went down the hills until the locality of Gitongwe in Shanga, one of the areas of the commune of Musongati and walked straight to the Nyamabuye river. We walked up and down the hillsides of Shanga until we came to Karera. After Karera, we reached the locality of Ngozi, crossed the Samanyoni river and climbed the Miryoryo Hill, in the commune of Mpinga-Kayove. Here, the young people started talking to each other shyly. We then walked across the villages of Gatanga, Nyembuye, Kibonobono, Rutamba and Nyesasa in the commune of Giharo bordering with Tanzania. It was then 6 o’clock in the morning and the sun was rising. Taking some rest was by no means an option as we were still very far from the destination. We marched towards Gihofi in the commune of Bukemba, also bordering with Tanzania, walked across Gicaca neighborhood near the plantations of the sugar processing company (SOSUMO), before coming, respectively, to the neighborhoods of Nkara, Manyenye and Buga (in Kayogoro commune, Makamba province, southern Burundi). It was when we arrived at the Malagarazi River that we met another group of five young people from Kayogoro and crossed the border into Tanzania together, around 11 a.m.
We started walking on Tanzanian territory, taking secret pathways to avoid the police patrols as the whole group was traveling clandestinely; none among the youth had a travel document. About two kilometers from the border we came to Rukoni, a small center where some young men (those with some money) and I could take a motorcycle-taxi. We would have at least 7 hours of ride non-stop to reach our destination, Kitagata(a neighborhood in Kasulu commune). This was the village where they were to be employed as labor force in plantations. Before arriving in Rukoni, our reporter spoke with some of these young Burundians. Emmanuel*, 16 years old, from Runyoni neighborhood in Musongati commune, was one of those who could not afford to pay for a motorcycle-taxi. It would take him more than 30 hours to reach Kitagata, but he was filled with hope. « I intend to stay in Tanzania for at least two years. When I get money I’ll buy a phone, a bike and then go back home and get married », he said. According to their guide, Heberi, they had to walk past the localities of Heru, Nyalugusu and Mwali to finally arrive at Kitagata. “We even have to walk at night”, he warned. How is this youth caught in such trafficking? The living conditions are very bad for these young Burundians. They are hired on plantations of tobacco, maize, beans and are paid annually, what is commonly referred to as« gukera ». They say they are unable to meet their basic survival needs. « We are paid 270,000 shillings per year, the equivalent of 125 dollars. If one falls ill or is in need of anything, the employer deducts any expenditure made from the same amount. It is absolutely impossible to make ends meet with such a salary », Claude*, 18 years old, revealed. He indicated that some prefer to seek additional sources of income by all means, even the most dishonest ones. « These are the ones who go back to Burundi and deceive others making them believe that once in Tanzania they will get a lot of money, phones and bikes, which is just an illusion, » he said. He added that the traffickers are paid 40,000 shillings, i.e. between 18 and 20 dollars, for each young man « handed over ». « If for example someone brings 40 to 50 children per term, that’s two million shillings earned, » he underscored. This young man said that, in addition to buying bicycles, traffickers build beautiful houses in their villages, just like civil servants’. Our reporter witnessed this in Mbuza: the two brothers, Heberi and Wahedi, although they had only completed the third grade of primary school, had been able to build cement houses for themselves and their parents. Once in Kitagata, these Burundians are not allowed to live with Tanzanians in the villages. They are forced to stay in Nkanda fields where they work, 30 km away from Kitagata. Nkanda is one of the most fertile regions that had been devoted to farming by President Nyerere. The Ivomo’s reporter also visited the place. Their homes are small huts in branches or used tents installed in the forest. « It’s very dangerous to live here. If one is not attacked by animals, the abagemu do. These are armed forest guards. They often steal our money and all our belongings. We are scared », lamented a young man in a tent. A month ago, he said, three Burundians were killed and burned by unknown people in the Kitagata region and no Tanzanian authority visited the location. Last December, two others from Kayanza province escaped an attack by gunmen in the same area. Though wounded, they managed to flee and cross the border into Burundi and were quickly evacuated to the Hospital of Gihofi in Rutana province for first aid, as Ivomo witnessed that time. But it’s not just this security problem. In Nkanda, young Burundians have neither safe water nor enough food. They are forced to collect water 30 km away from their home (5 hours walking distance). When it rains, they just collect a few liters from puddles in the streets. The same water is used for drinking and cooking. They say they can spend two to three weeks without taking a bath. « If we get sick, we do not have the right to go to the hospital or the clinic because we live here illegally. If the police see you, they arrest you and you are imprisoned for a minimum of six months even for a minor offense”, Ezekiel * says. « If you are seriously ill and your boss finds out that your salary cannot cover the healthcare he dismisses you right away. In addition, we eat only once a day”, he adds. Tanzanians contacted say that the cost of burial is very high for illegal immigrants. That’s why they prefer to dismiss every worker who is seriously ill. « Last year I had to pay seven million shillings, the equivalent of 3,200 dollars, for the burial of a young man I had sheltered. I do not want that to happen to me again”, says a Tanzanian farmer. Supporting a clandestine worker arrested by the police becomes too risky for these farmers. Some young Burundians, in addition to being abused, are often imprisoned with no investigation or trial. Some of them prefer to leave Tanzania and return to their families after imprisonment. Gilbert, 19 years old, is from Kamaramagambo neighborhood (Musongati). He returned home two months ago. « The Tanzanian police arrested us in March last year. There were seven of us; four from Karusi, two from Gitega and myself. We served eight months of imprisonment in Kasulu jail accused of living illegally in Tanzania”, he says. « There were many Burundians in the prison, » he adds. Our reporter managed to meet five young men in Nkanda who have been blocked in Tanzania for four months. Ngabire and Augustin, 15 and 14 years respectively, are among them. Originally from Gisibe and Gishanga villages in Kamaramagambo neighborhood, they claim that they dropped out of school and left their families in September last year. They were in grade six. As their life has become an absolute nightmare in Tanzania, they wish to return to Burundi. Augustin indicates that when he arrived in Kitagata he fell ill and had a hard time getting treatment. « In the first two months I had already spent 30,000 shillings on healthcare, which my boss deducted from my monthly salary of 22,500 shillings. Thus, I realized that I could not stay long in Tanzania. But I do not have the means to go back home”, he says. Ngabire also wishes to return home. But how? « We do not know the way home. I’ve heard that a certain Mayoti, who brought us here, is in prison in Burundi », he reveals worriedly. Mayoti is one of the « traffickers » who master the network. He worked with Heberi and Wahedi. Ivomo contacted the communal administration of Musongati about his imprisonment. They confirm that he is held in Rutana Central Prison with five other defendants for « human trafficking ». The brothers Heberi and Wahedi are also wanted persons, according to the same administration. Ivomo met in Musongati with Mayoti’s wife and some relatives of the children who are in Tanzania. Spéciose is the mother of three of the five young men mentioned above. « They left without my knowledge. Since they went last September, I spent several weeks without having any idea where they could be. I thought they were dead. It was only two months later that I learned they were in Tanzania. Two of them were in grade six of primary. They are still children! We would be pleased if the administration helped us bring them back”, she told us. Augustin’s family is also in despair. « He hid his intent to leave. He dropped out of school and left secretly. We went to Tanzania to look for him but in vain,” laments a parent. Families of people imprisoned as part of the child trafficking case are also desolated. Nshimirimana is the wife of Mayoti who has been imprisoned for almost four months. They got married early last year. The young wife says she has a lot of trouble surviving. « I live alone in the house. It’s very hard for me to get food because the one who could generate income is no longer here, » she points out. « I do not even have chemical fertilizers for crop season B. During the previous season, my husband bought me a fifty-kilo bag. I just have six kilos left. I do not know what I’m going to do”. Mayoti was arrested when Nshimirimana was 7 months pregnant. She is now the mother of a two-month-old baby. To eradicate this phenomenon, the authorities of Rutana and Makamba provinces have taken two steps. First, to reinforce surveillance of the border, then prohibit border crossing after 4 p.m. However, after conducting a field investigation, Ivomo found out that this second measure was already bypassed by the traffickers. At one of the border crossing points, Buga locality in Makamba province, the border is indeed closed at 4 p.m. and no one can cross, but it is only a matter of time. Instead of crossing the border during the night as before, they do it now in the morning and early afternoon. In short, trafficking continues.